The Veterans at Ease program is dedicated to supporting student veterans return to and thrive in civilian and academic life. 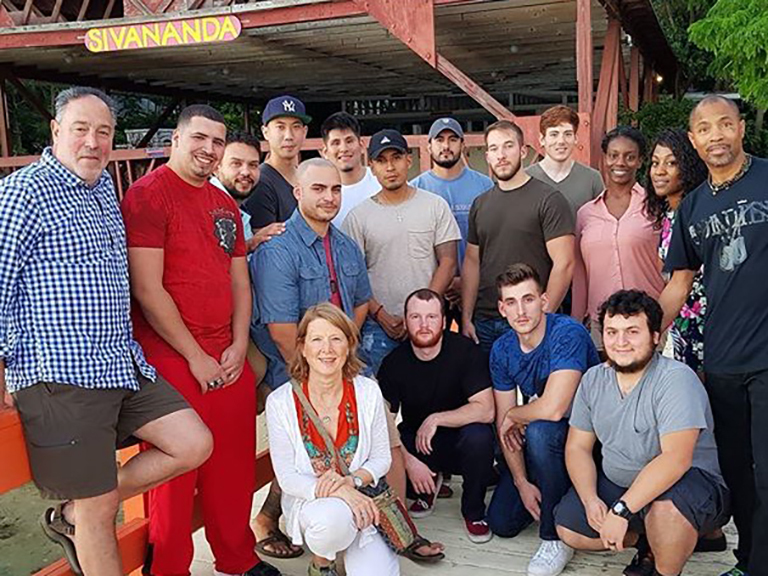 As part of the program, you will be invited to participate in an adapted section (RELS 161) of The Nature and Experience of Religion, which includes the opportunity to participate in a free four-day stress reduction retreat at the Sivananda Ashram in Paradise Island, Bahamas. This specific section of the course includes an introduction to yogic theories of mind and to the value of meditation, yoga, and other stress reduction techniques. Every new undergraduate student veteran is paired with a returning student veteran that is enrolled in a similar program of study. The mentor/mentee relationship establishes a bond between vets, encourages involvement in academic and social activities on campus, and, most importantly, helps ease the transition to academic and civilian life. 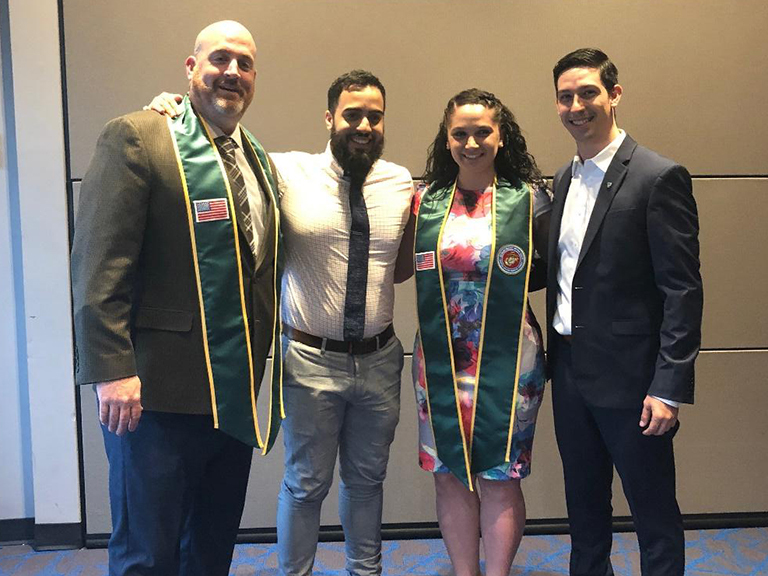 As our student veteran population continues to grow, alumni have enhanced their mentorship roles through participation in fall and spring guest speaker series, and connecting student veterans with opportunities to network. If you are interested in becoming a mentor, contact Tiana Sloan at tiana.sloan@manhattan.edu. 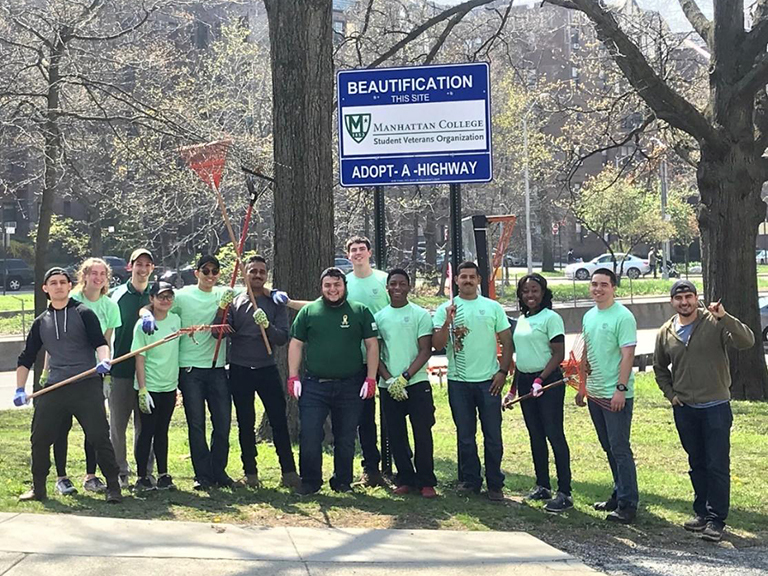 Manhattan College participates in several national programs that provide educational benefits to military and veterans. For instance, student veterans may be eligible to receive assistance through the Yellow Ribbon Program, as well as veteran tuition rewards. Scholarships through Manhattan College and a variety of external sources are also available.